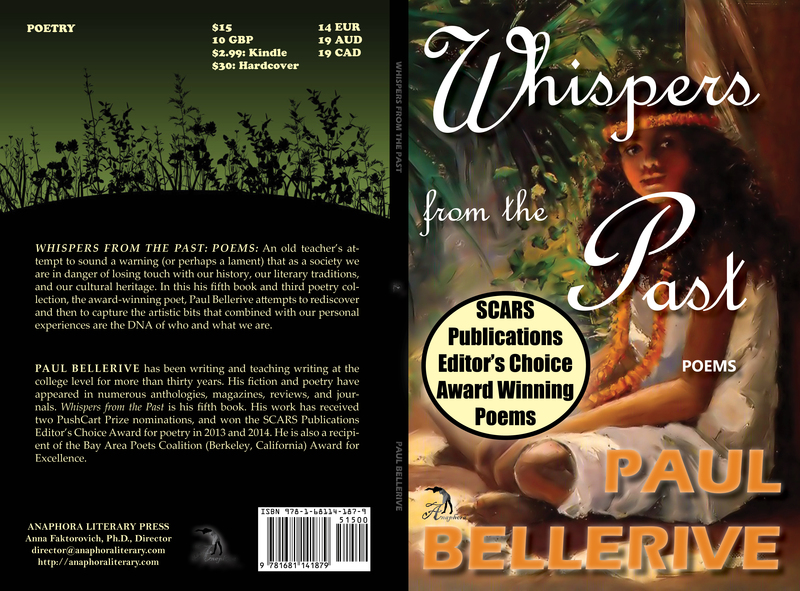 Whispers from the Past: Poems: ($15, 116pp, Print ISBN-13: 978-1-68114-187-9, ISBN-10: 1681141876, EBook ISBN-13: 978-1-68114-188-6, Hardcover ISBN-13: 978-1-68114-189-3, LCCN: 2015910908, 6X9″, July 2015; Purchase on Amazon or Barnes & Noble): An old teacher’s attempt to sound a warning (or perhaps a lament) that as a society we are in danger of losing touch with our history, our literary traditions, and our cultural heritage. 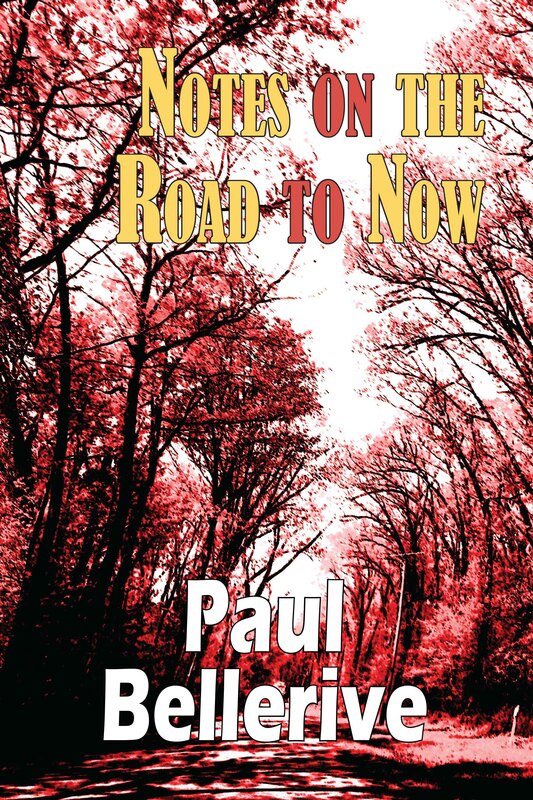 In this his fifth book and third poetry collection, the award-winning poet, Paul Bellerive attempts to rediscover and then to capture the artistic bits that combined with our personal experiences are the DNA of who and what we are. Paul Bellerive has been writing and teaching writing at the college level for more than thirty years. His fiction and poetry have appeared in numerous anthologies, magazines, reviews, and journals. Whispers from the Past is his fifth book. His work has received two PushCart Prize nominations, and won the SCARS Publications Editor’s Choice Award for poetry in 2013 and 2014. He is also a recipient of the Bay Area Poets Coalition (Berkeley, California) Award for Excellence.